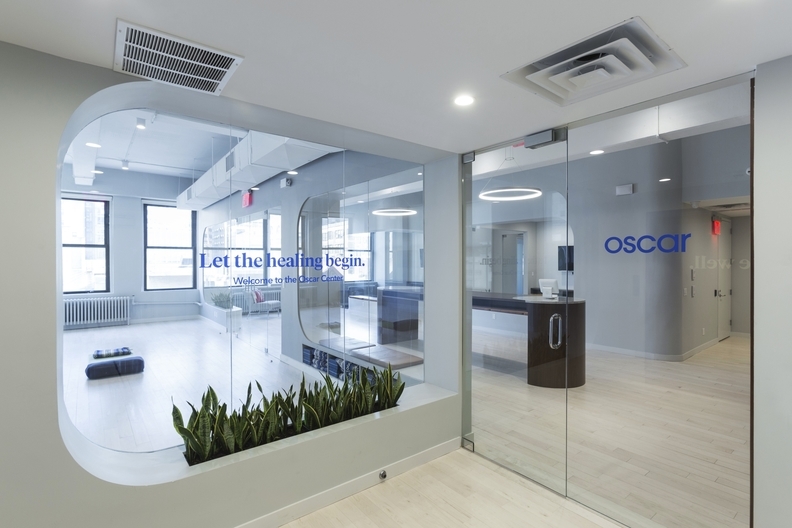 Insurer Oscar Health has outgrown its Puck Building home and plans to move to a more spacious office on Varick Street, the company said Tuesday. The company will receive $3.5 million in performance-based tax credits from Empire State Development, the state's economic development arm, if it meets its target of creating 289 jobs in five years. It plans to add employees with tech, data science and clinical expertise. Empire State Development said the tax credits were to "encourage Oscar Health's growth in New York." The insurer, which never said publicly it was considering a move out of the city, has nearly 400 employees in its New York office, about half its workforce nationwide. Oscar also has offices in Dallas, Los Angeles and Tempe, Ariz.
"ESD's incentives were critical in making sure Oscar Health chose New York for this project and the growth of 289 new jobs," a spokeswoman for the agency said. The company currently occupies a 39,000-square-foot office in the SoHo building, which is owned by Kushner Cos., according to a spokeswoman. Joshua Kushner co-founded Oscar in 2012 with current CEO Mario Schlosser and Kevin Nazemi. The health insurer plans to move to its new 78,000-square-foot home in 1 Hudson Square, at 75 Varick St., in the first quarter of next year. The new office, all on one floor, will allow more space for new hires and team collaboration, an Oscar spokeswoman said. "We don't have enough common spaces and meeting rooms and areas for teams to come together," she said. "That will be a big part of the new space." Oscar's current digs were unmistakably the home of a startup, with exposed brick and piping running through the office and cereal dispensers and craft beer taps available for employees. Oscar has hired Gensler, an architecture and interior design firm, to create its new offices. Gensler has designed offices for Etsy in Brooklyn and Facebook and Instagram in California. "As we scale Oscar and recruit more employees, we've made the exciting decision to move Oscar's New York offices to 1 Hudson Square, where we will have more room to support our employees and teams with a beautifully designed space in a terrific, central location," Kerry Van Voris, senior vice president of people at Oscar, said in a statement. Despite the Trump administration's work to unwind the Affordable Care Act, Oscar has continued to expand into new markets to sell ACA-compliant plans to individuals. Next year, it said, it will sell plans in 14 metropolitan areas across nine states, up from six states this year—pending regulatory approval. The company also has started selling insurance to small businesses. Oscar has attracted about 250,000 members, but it hasn't been able to manage members' medical costs well enough to turn an annual profit. Schlosser told Crain's this year that the company's investments in its technology platform, which enables members to use telemedicine, message a customer service rep and view their medical records, have increased costs but set the company up for success. Oscar lost $127 million last year, when it was selling plans in only three states. The company has continued growing amid hundreds of millions in losses thanks to more than $890 million in venture capital funding. It most raised $165 million from investors led by Brian Singerman and Founders Fund with participation from 8VC, Capital G, Fidelity, General Catalyst, Khosla Ventures, Thrive Capital and Alphabet's Verily Life Sciences. "Oscar to get $3.5M in state tax credits to move to new Manhattan HQ" originally appeared in Crain's New York Business.